Riot Fest took place at Toronto’s Downsview Park 2 weekends ago. The 2 day outdoor punk rock concert featured Toronto’s very own Metric, as well as The Flaming Lips, Rise Against, and Dropkick Murphys to name a few. The festival headliners included City and Colour and The Cure. 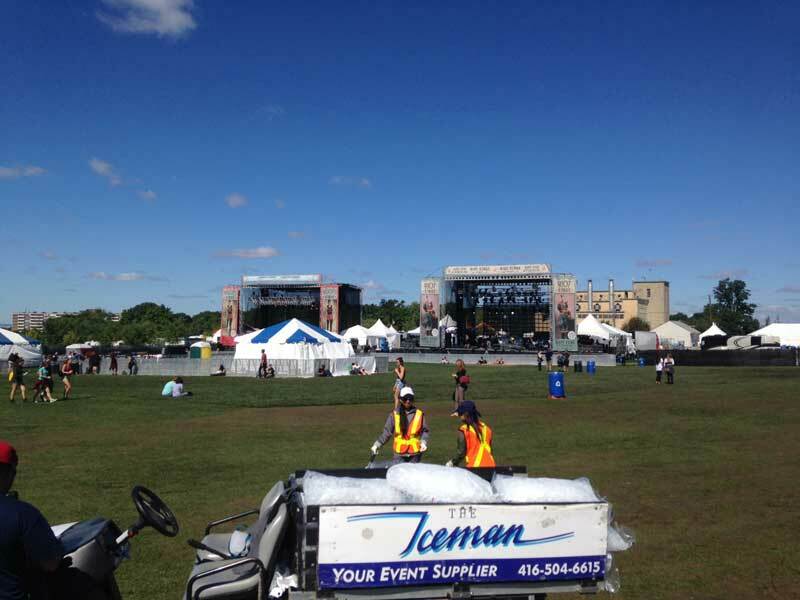 We kept this festival cool by delivering lots of packaged ice to keep beverages cold for the swarms of concert goers. 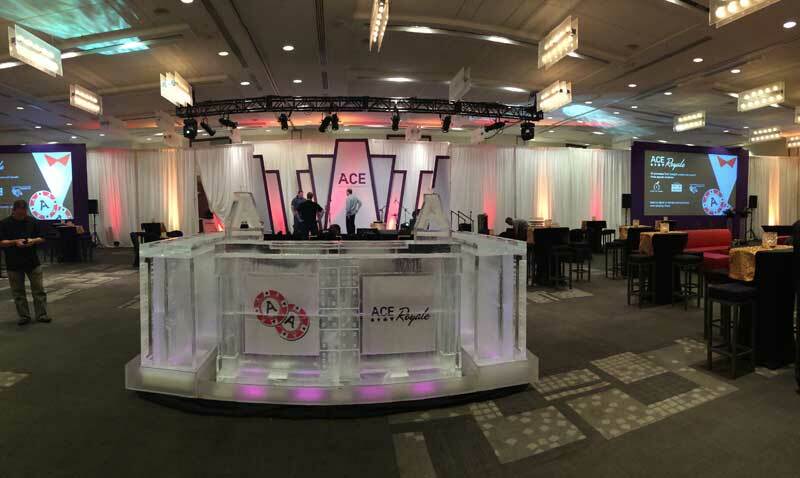 We designed, delivered, and installed an ice bar for the poker themed Achievers Customer Experience (ACE) convention. 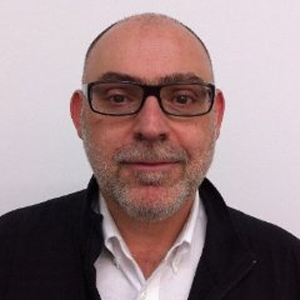 ACE is a 2 day event that took place in Toronto this past week. It’s attended by HR departments, business owners, managers—anyone who is interested in employee engagement and wants to learn the best ways to retain talent. In case you didn’t know: The Iceman owns and operates iceFX; our company that designs custom ice sculptures and décor for special events. 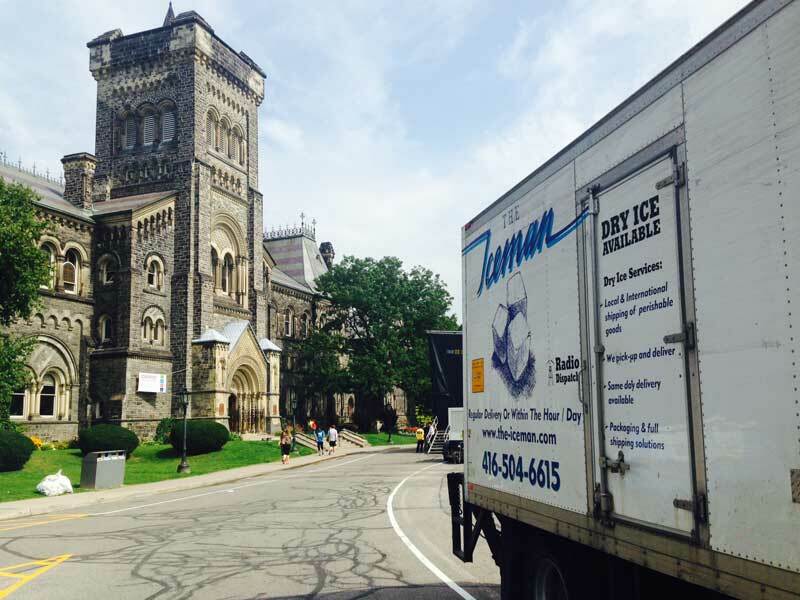 The Iceman truck could be seen at the University of Toronto campus supplying ice for frosh week festivities during September 1st-5th. Frosh week hosts all kinds of events, information sessions, parades, and mixers to help welcome new students. It closes the week off with concert finale; this year Tokyo Police Club and DJ Karl Wolf kicked off the school year. The Toronto International Film Festival (TIFF) was being held over a week and a half bringing in big stars to downtown Toronto. 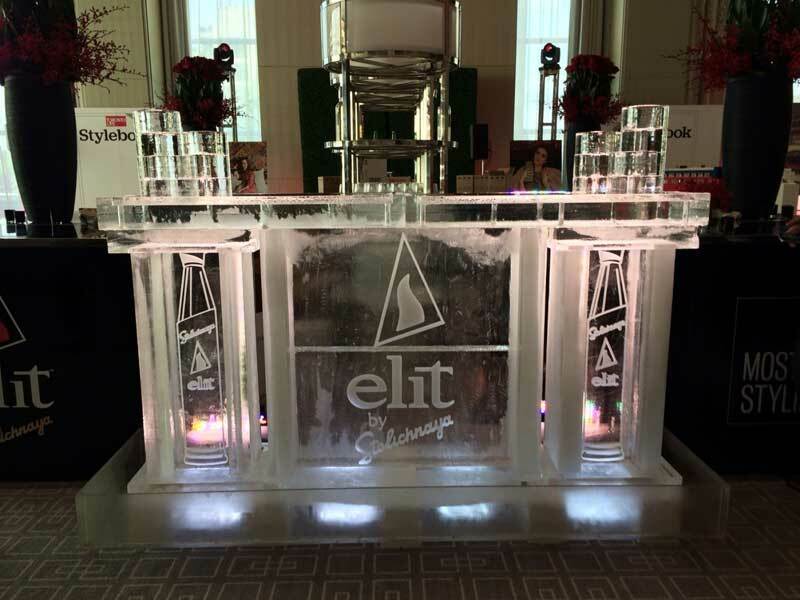 We created this custom ice bar for a TIFF after party. It promoted and showcased Stolichnaya’s elit™; an ultra-luxury vodka that prides itself on superior taste, clarity, and a “flawless molecular composition”. According to Stolichnaya’s website, elit™ is best enjoyed shaken with ice, strained, and poured over ice. elit™ comes with a heftier price tag than Stoli’s standard vodka line, but it has received rave reviews. We think that vodka this good deserves to be poured over perfect, high quality Kold Draft ice cubes. 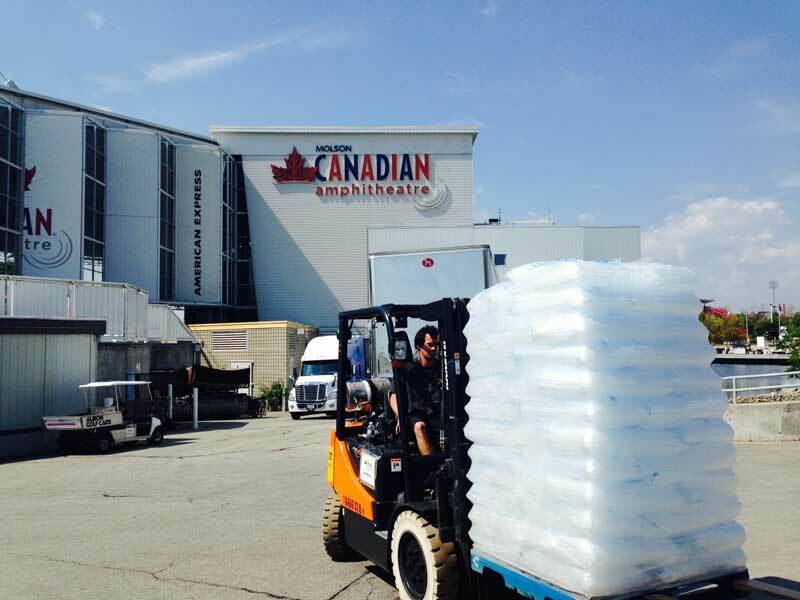 We delivered forklifts full of ice to the Molson Canadian Amphitheatre to keep concert attendees cool. No matter how big or small your event is, The Iceman can fill and deliver your order of packaged ice cube in the Toronto area. Contact us for large orders and inquires. We’re looking forward to all the fall events that will be popping up around the city over the next few weeks. Fall wedding season is starting and that means we’ll have a lot of ice sculpture orders. ‹ How Much Ice Do I Need for a Party?